The best way to get to know a community is by scheduling a tour. See the facilities, meet the staff and residents, and get a feel first hand what it's like to live at Legacy Village of Sugar House Assisted Living. Welcome to Legacy Village of Sugar House a Premier Senior Living in Salt Lake City, Utah. With breathtaking views of both city lights and the Wasatch Mountains, Legacy Village is Salt Lake City, Utah’s newest senior living community and is located in one of Salt Lake City’s oldest, yet most desirable, neighborhoods. Easily accessible from I-80, Legacy Village of Sugar House is just minutes from Intermountain Medical Center, University of Utah campus, physician offices, restaurants and shopping. 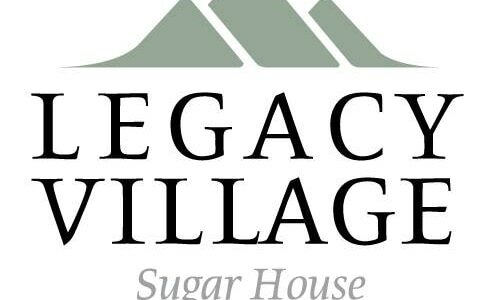 Newly opened, Legacy Village of Sugar House, a premier senior living community, provides independent living, assisted living and memory care services. Our residents enjoy daily activities, restaurant-style dining, beautifully decorated living areas and a variety of apartment floor plans—all in an urban setting. Independent Living. Assisted Living. Memory Care. At Legacy Village of Sugar House, we believe that the more our residents can be independent, the healthier they are and the better they feel. No matter what stage of life we’re in, maximizing independence, maintaining dignity and having choices are important. Nevertheless, there comes a time when we all could use a helping hand. At Legacy Village of Sugar House, we recognize those times and provide just the right amount of help to meet those needs. Why choose Legacy Village of Sugar House? Caring for seniors and their families since 1996, Legacy Retirement Communities is a premier provider of senior living services. At Legacy Village of Sugar House, we distinguish ourselves from others by embracing a Personal Touch Culture that strives to make a heart-to-heart connection with those we serve. We believe in an individual’s worth and respect their uniqueness. We personalize our services by knowing our customers through sincere listening, caring service and attention to personal details.